Since her first book, Mind to Mind, was published in 1989, Betty Shine has been inundated with letters of thanks and appreciation. Her extraordinary message has touched hearts and changed lives the world over. As her reputation has grown, it has become impossible for Betty to treat personally the thousands of people who look to her for help. So it is as a natural extension of her talks, lectures and private consultations that she has written Mind Magic, a self-help guide that will enable everyone to experience the benefits of mind energy and healing – for themselves and for the good of others. 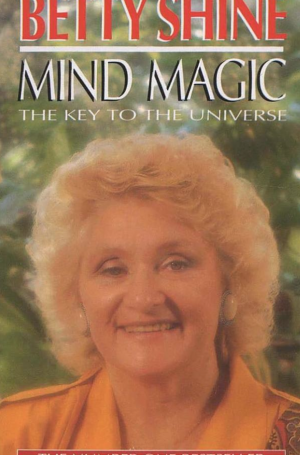 At the core of Mind Magic is a series of exercises and projects devised, tried and tested by Betty herself. Though all have been designed to develop the imagination and renew mind energy, each has an additional specific aim, ranging from stress management to memory enhancement. Built around these disciplines is a mass of practical advice on vitamin and mineral intake, colour therapy, the power of positive thinking and a host of other topics. A handbook for the soul, a guide to health and happiness, a manual for living in the modern world, Mind Magic is a valuable and singular contribution to New Age literature.